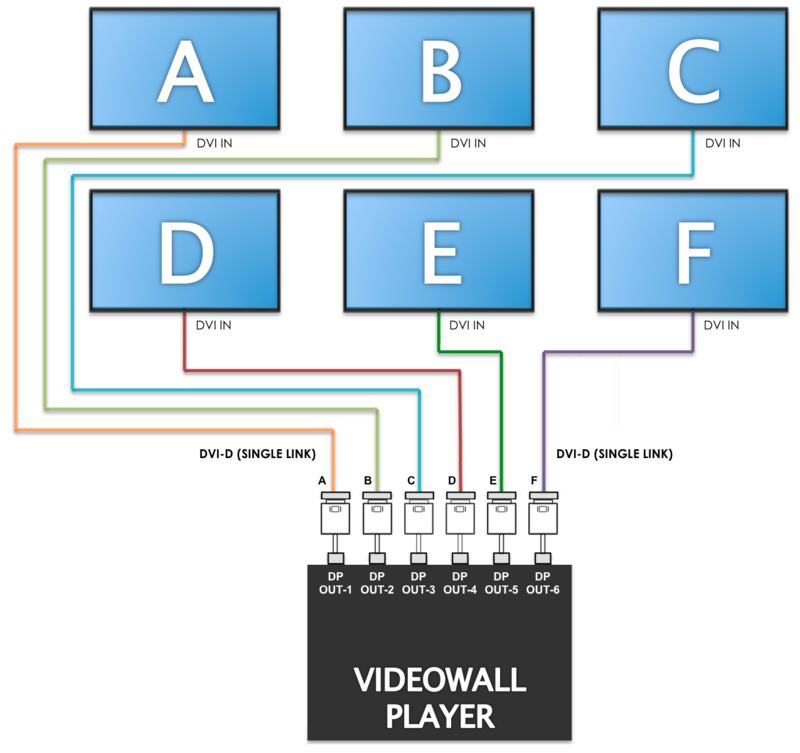 This article provides the instructions to setup a video wall application. Video wall displays are dynamic with multiple display monitors and display orientation, and various hardware specifications, display size, and resolutions. Standard resolution per display is Full HD at 1920x1080 pixels. Total resolution is 5760x2160 pixels. In the Sign Library, create an Advanced Sign. Refer to Creating an Advanced Channel. In the application’s Settings tab, set the application resolution to match your video wall setup. Click Save. In the Properties tab, add the application properties described below. A powerful CPU to ensure high-speed, and smooth processing of data (multi-core/ server processor). A high-end graphics card with multiple video outputs to accommodate the multi-display feature and better management of high definition media. The following hardware setup utilizes one MediaVue SureVue D6 media player to power six LCD panels, forming the 3×2 video wall. 6 mini DisplayPort–to-DVI adapter cables. 6 DVI-D Single Link cables in variable lengths for connection to the individual display monitors. 6 1080p High Definition LCD panels. 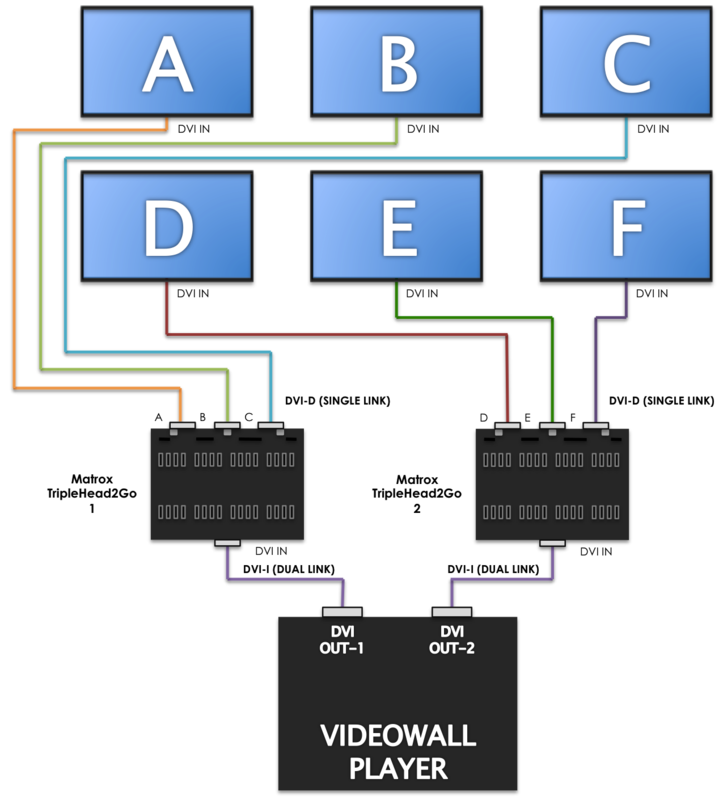 The following hardware setup utilizes two DVI outputs from the NVIDIA GeForce GTX 760 graphics card into two Matrox TripleHead2Go DVI multi display adaptors, to power six LCD panels, and form the 3×2 video wall. Central Processing Unit (CPU) Intel Xeon E5-2620, 2.4 GHz Or AMD equivalent, preferably server grade processors for increased stability. Graphics Processing Unit (GPU) NVIDIA GeForce GTX 760 with 2GB GDDR5 Memory Or any other GPU with 2 DVI outputs with at least 2GB dedicated on-board memory. Preferably GDDR5 memory for faster read/write speed. Operating System (OS) Windows 7 Pro 64-bit, Windows 8 64-bit architecture fully utilizes all 6GB of RAM while 32-bit only utilizes up to 3GB of RAM. 2 DVI multi-display adapters (Matrox TripleHead2Go Digital Edition). 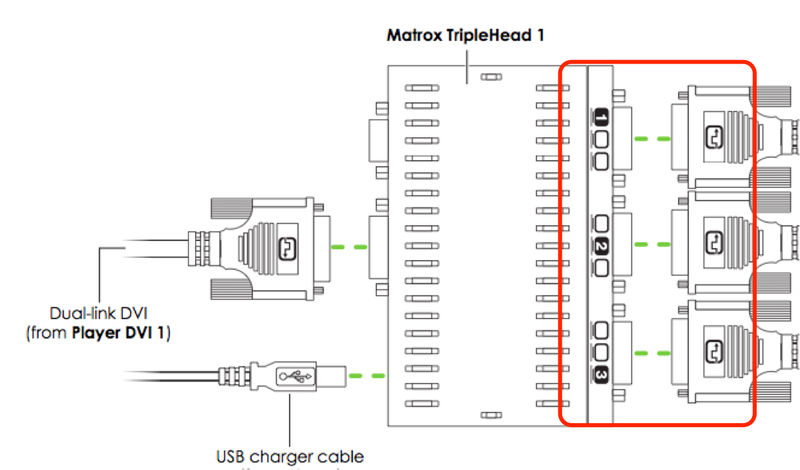 2 USB charger cables (included with Matrox TripleHead2Go). 2 DVI-I Dual Link cables (included in the Matrox TripleHead2Go). A single six-output device (MediaVue SureVue D6). A single dual-output graphics card with two multi display adaptors (NVIDIA GeForce GTX 760 with Matrox TripleHead2Go). A single six-output graphics card (ATI Radeon HD 5870 Eyefinity 6). Please ensure that all the power cords and connections are initially disconnected to avoid accidental electrical shocks. 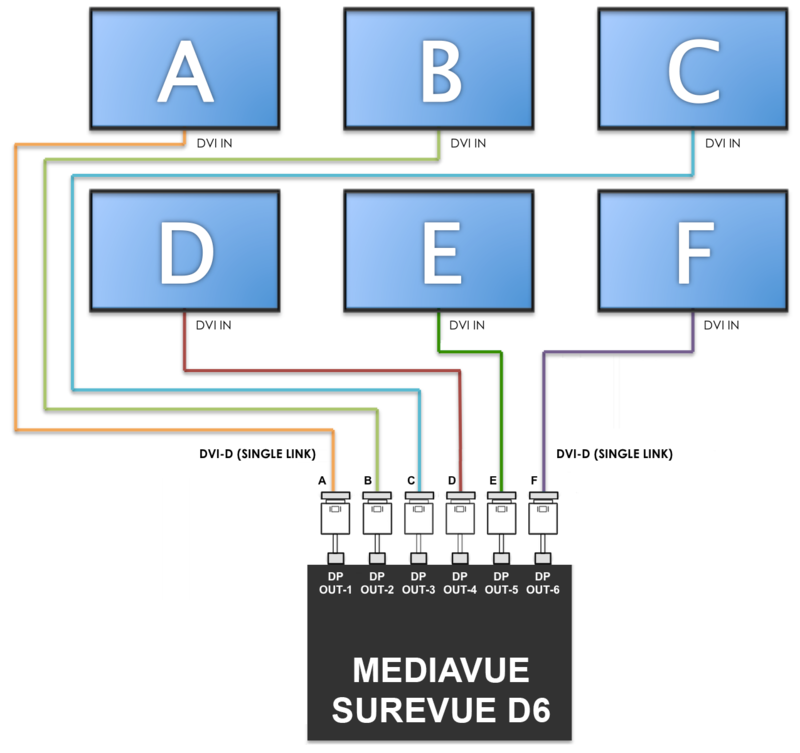 In this deployment scenario, the hardware setup utilizes one MediaVue SureVue D6 device to power six LCD panels, forming a 3×2 video wall. Connect all DVI cables to a ‘Mini DisplayPort to DVI Adapter’, and connect all the corresponding ‘Mini DisplayPort to DVI Adapters’ to the MediaVue SureVue D6 device. Connect all DVI cable outputs to the corresponding display monitors. Right-click on the Windows desktop, and select Catalyst Control Center from the context menu. Click the Desktop Management drop-down menu and select Creating and Arranging Desktops. 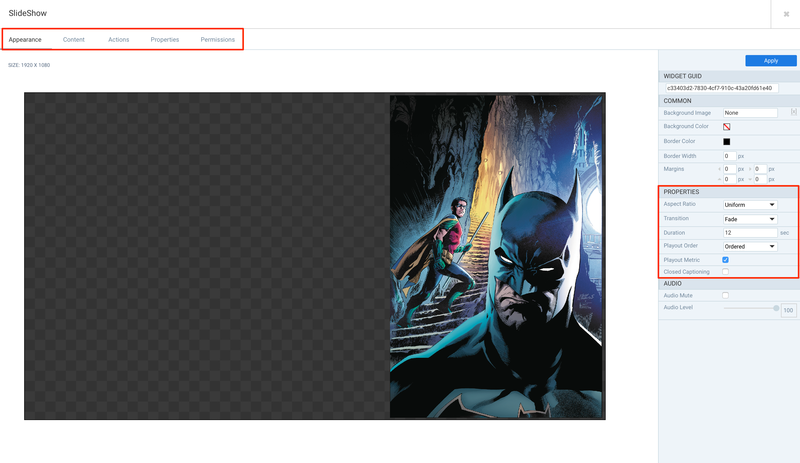 Click the black triangle to access the context menu, and select Create Group. A pop-up will appear if you have other desktops enabled, click Yes to disable them. A new group with six display monitors is created. 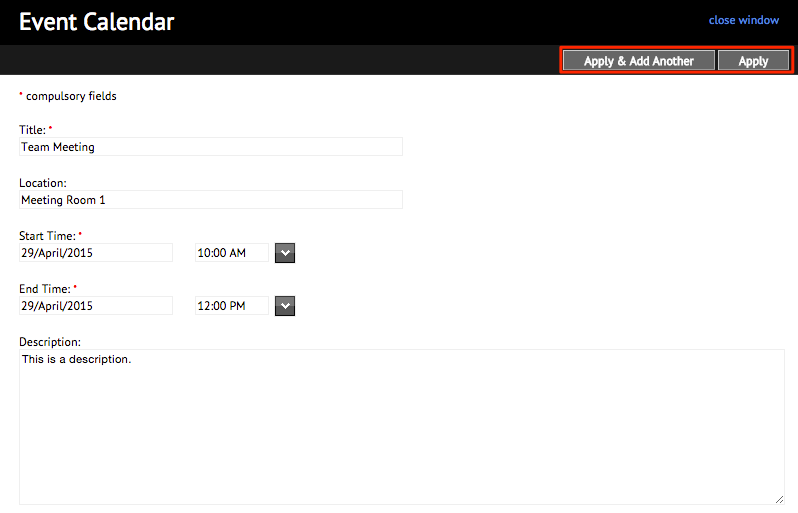 Select the desired layout from the drop-down list (in this example, select 3x2) and click Accept. Then click Yes. The Catalyst Control Center will now tile together all the screens into one group, forming a video wall desktop with the desired total display resolution. In this deployment scenario, the hardware setup utilizes one NVIDIA GeForce GTX 760 graphics card paired with two Matrox TripleHead2Go DVI multi display adaptors. Ensure that you have downloaded and installed the necessary Matrox drivers as well as the Matrox PowerDesk software. Connect all the DVI outputs from the Appspace Player’s GPU to the Matrox DVI multi display adaptor while ensuring you have an attached powered USB hub to provide power to the device. 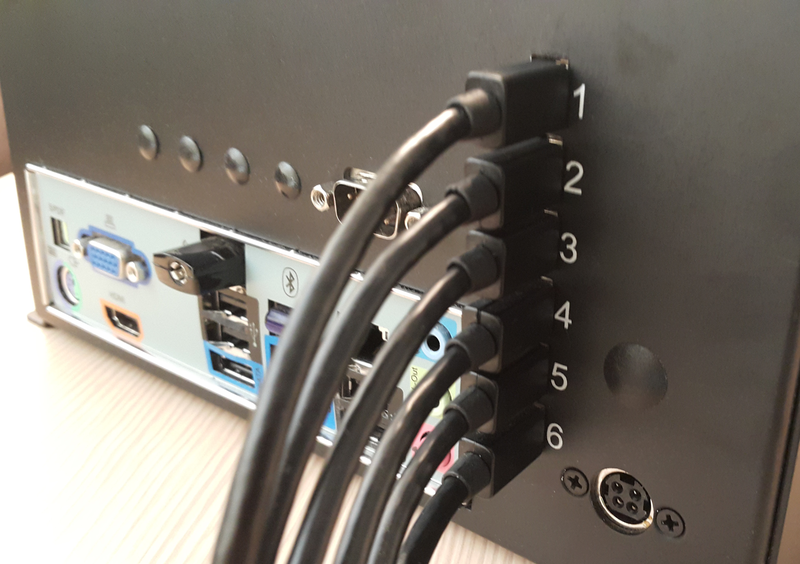 Connect the outputs from each Matrox device into the input ports of the corresponding display unit. Install and launch the Matrox PowerDesk software. 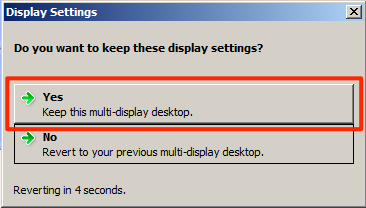 From the main menu, select the Multi-Display Setup option. 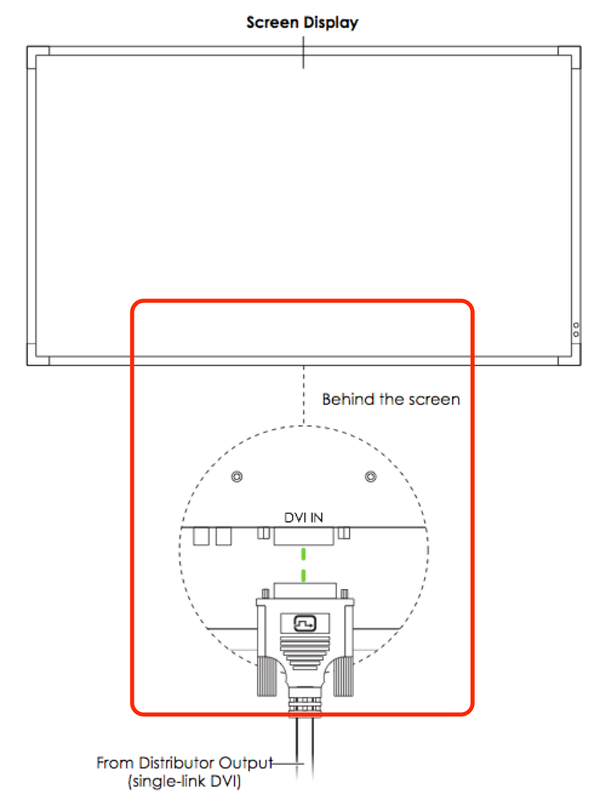 Arrange the layout of the displays by dragging and dropping the individual screens. Alternatively, you can also reorder the displays within Windows’ Screen Resolution settings. Click OK to confirm your configuration. Set each display cluster to a 1920 x 1080 (3 x 1) resolution from the drop-down menu. In this deployment scenario, the hardware setup utilizes an AMD Radeon HD 5870 Eyefinity 6 graphics card. In most typical video wall configurations, the Eyefinity canvas should be configured as landscape, rather than portrait. Portrait orientation will be handled by the Appspace application. Ensure that you have preinstalled the necessary ATI drivers as well as the Catalyst Control Center (CCC) software included in the installation CD for Windows to enable the usage of the hardware. Connect all the DVI cables to to a ‘Mini DisplayPort to DVI adapter’ and connect the corresponding ‘Mini DisplayPort to DVI adapter’ to the Appspace Player’s graphics card. Setup and register the Appspace Windows PC Client. Assign the video wall application created above to the player. Please refer to the Registering Appspace Windows PC Client (DirectX) article. Set the Player Mode to ‘Window (Maximized)’. Set the Player ‘Sync and Alerts’ Software update settings to ‘Manual Update’. Quicktime must be installed on the PC prior to running this installer. To ensure the Appspace Windows PC Client works as expected, it is recommended to perform these configurations on the PC. Set Windows desktop theme to Classic. Set the desktop’s wallpaper to a black image. Remove all desktop items and auto-hide the task bar. Turn off Windows auto updates. Set auto boot on power. Add appspace.com to list of trusted websites and enable pop-ups from this URL. Network firewall and proxy server must allow access to the Appspace domain URL/IP. Add the C:FastNetV2 folder to the Flash player trusted location. Ensure that any anti-virus software or firewalls are configured to allow the Appspace Windows PC Client executable and software agent to access the network. The user must have Local Administrator rights on the PC. It is recommended that the installation be conducted on a stand-alone networked PC instead of a PC connected to a domain. 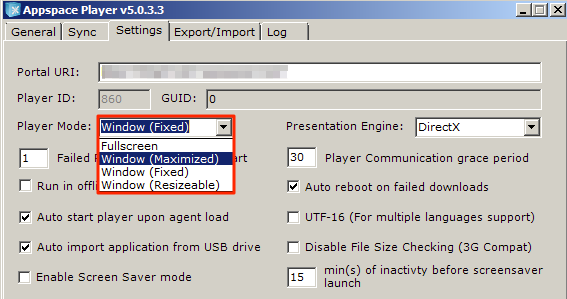 In the event that the player does not automatically start after the setup is finished, double-click the Appspace Player shortcut icon to launch the program.